Read more information and make suggests and report issues here! You've asked for it and I said I would deliver! Here's the screenshot of the friendly desktop version of Sagenote! Edited by yanike, 03 March 2011 - 11:54 AM. 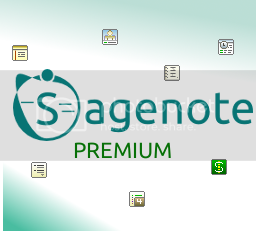 SAGENOTE DESKTOP VERSION IS NOW AVAILABLE!!!!!! All you have to do is go to www.sagenote.net and the site will now redirect you to either mobile or desktop! Please change thread title to "Sagenote Desktop Version Released!". It would be nice to have the feature to change the title ourselves as thread starters. Edited by yanike, 02 March 2011 - 11:07 AM. The user interface is plain and elegant. Title edited and Congrats on the release!!! Edited by lareeth, 28 February 2011 - 01:49 PM. Thanks. The layout of my site is divs. I use tables where they need to be. Tables still have an importance in design and can be used to do things that divs can't do. As for style sheets, I do use them. Only for main things. I use style tags when I need them as well. Edited by yanike, 28 February 2011 - 02:12 PM. Sagenote desktop version will be improving overtime and you will start to see some services added to the Desktop version first before mobile version. More than likely, by the time you see a service or feature on the Desktop, it will be available on the mobile version. Sagenote Premium coming soon to mobile and desktop! What's life without something todo? Have daily task you need to organize? Search with the ability to find the name of a item and also another search to pull up a item by searching it's content. No it's rebirthing. Sagenote is way more than notes. This is just the beginning. By the way, everything on Sagenote is free at the moment. Give it a try. You will get features and more you usually have to pay for with other premium apps. Feel free to suggestion apps and more. I'm always developing and don't mind throwing around ideas and making things better. Most suggestions have been answered and are coming like photos, sharing, and more. Export and a Desktop friendly version was suggested earlier and it's already available. Edited by yanike, 12 March 2011 - 05:08 PM.